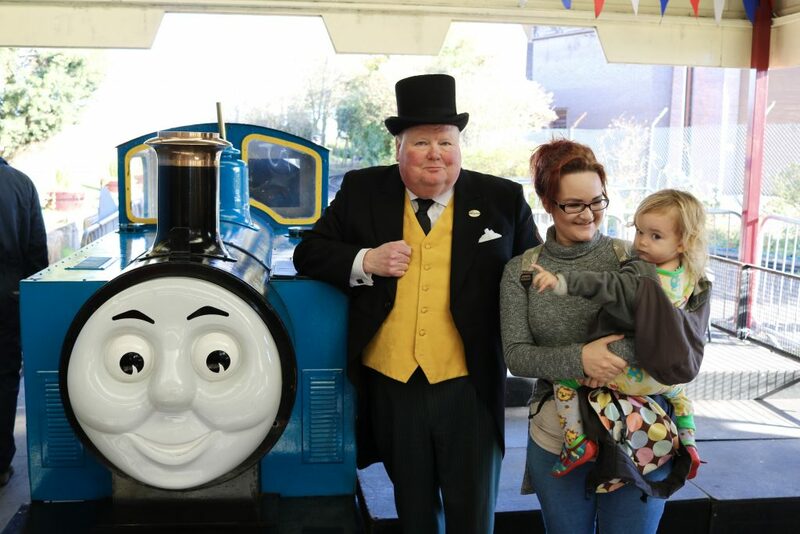 With our ticket we got the opening ceremony, photo opportunities with The Fat Controller & other characters, Rusty & Dusty shows, unlimited rides with Thomas, two rides on the bigger steam trains and imagination station. There was a cafe, gift shop and bouncy castle. 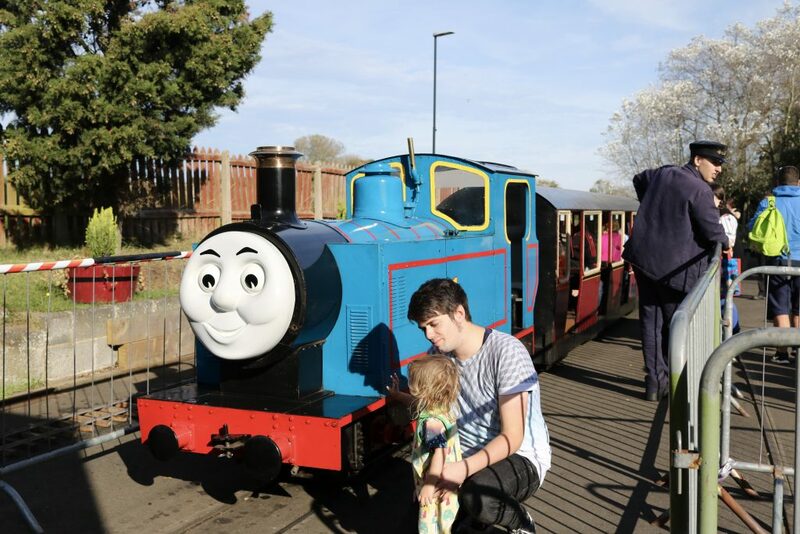 The two main rides on Thomas’ friends last around 40 minutes, and Thomas is accompanied with Toby. 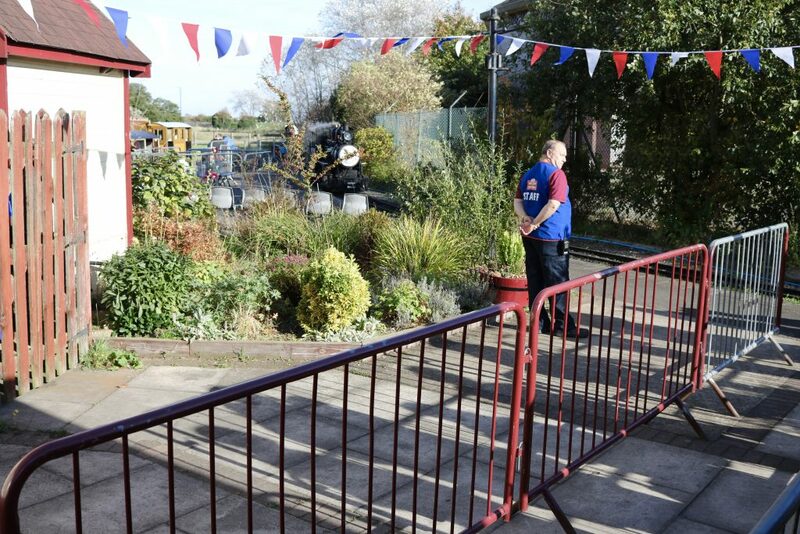 Miniature train rides were available, too, up and down the platform. In the imagination station were lots of Thomas tracks to play with, DVD screenings, face painting, ball pool, puzzles and books. There was more than enough to be getting on with. 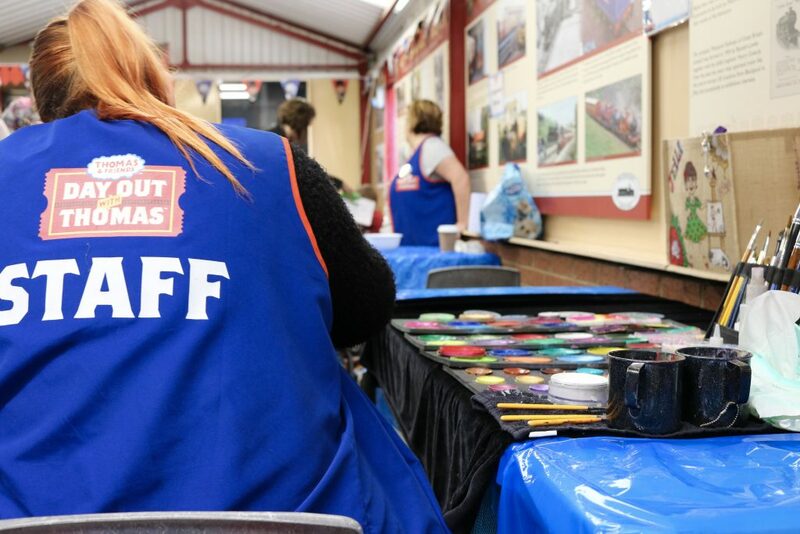 We are big fans of Sun Holidays, if you’ve read my blog now “How To Find Cheap UK Holidays” you’ll know we have been to a few UK holiday parks (Butlins, Haven) on a budget with sun holidays. 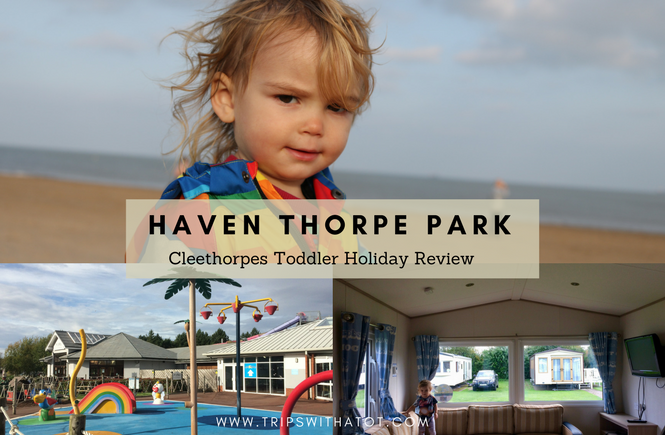 We were able to find a weekend break at Haven Thorpe Park, which is the one in Cleethorpes. 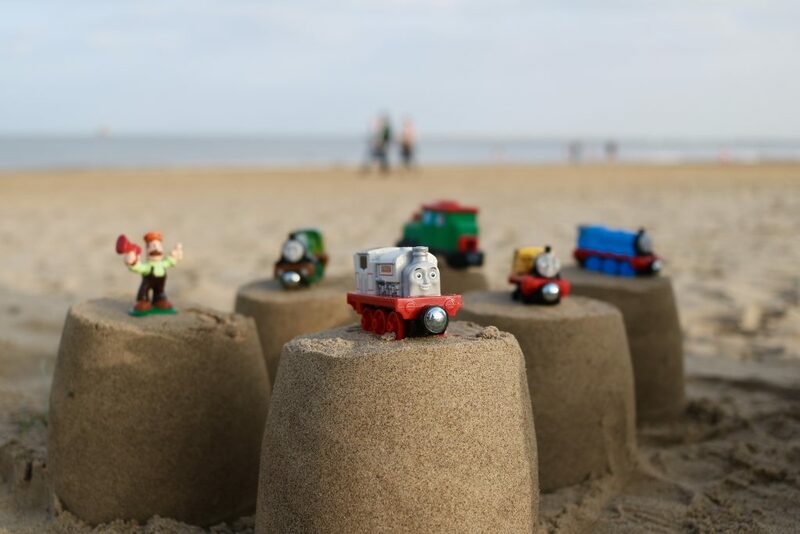 This was perfect for Day Out With Thomas because even though you can easily fit in into a day, we wanted to make a weekend of it at the seaside. I’m so glad we did because the surrounding area of the railway is so beautiful, it really made the whole experience a unique one. And, bonus… because the light railway goes along the sea front, you can see the trains riding up and down throughout the day even if you are not going to the event. 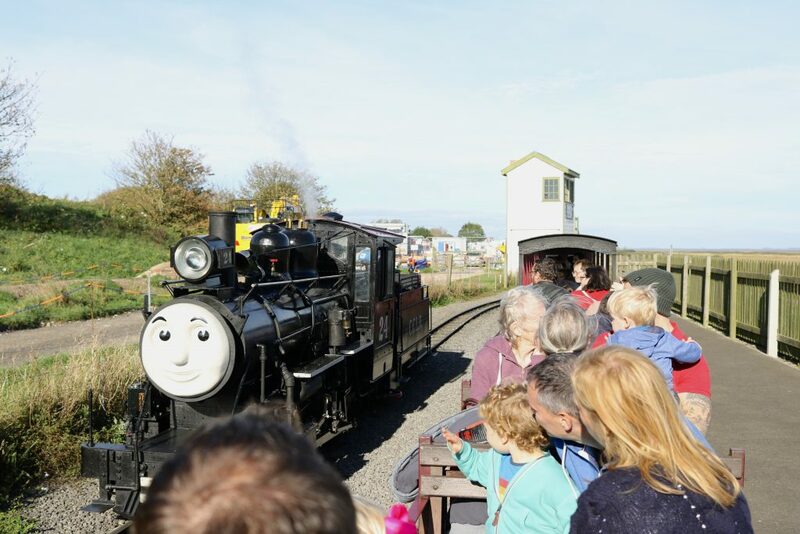 We were able to hear them all day on Sunday and you could easily take a stroll down through the nature reserve and see the trains without paying for the event. I thought this was really cute and if you are staying for the whole weekend, like us, it gives you something extra. 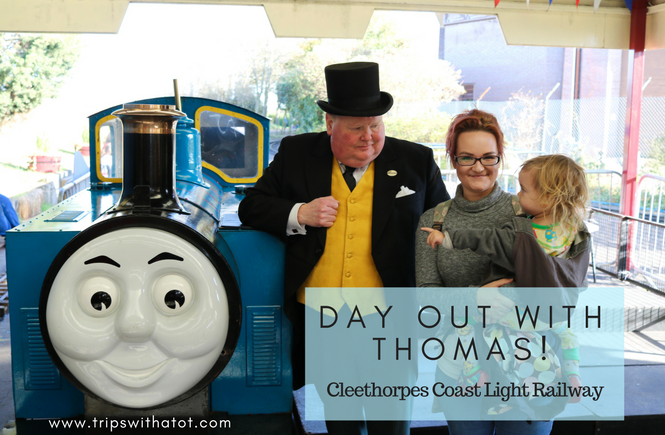 The Cleethorpes Coast Light Railway is fun enough without Day Out With Thomas, so Thomas just makes it even more special! 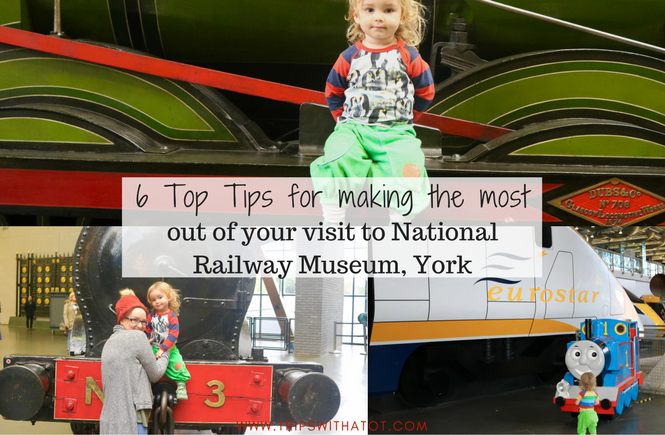 You can see our previous visit to the light railway in this blog post and it was a lovely day. 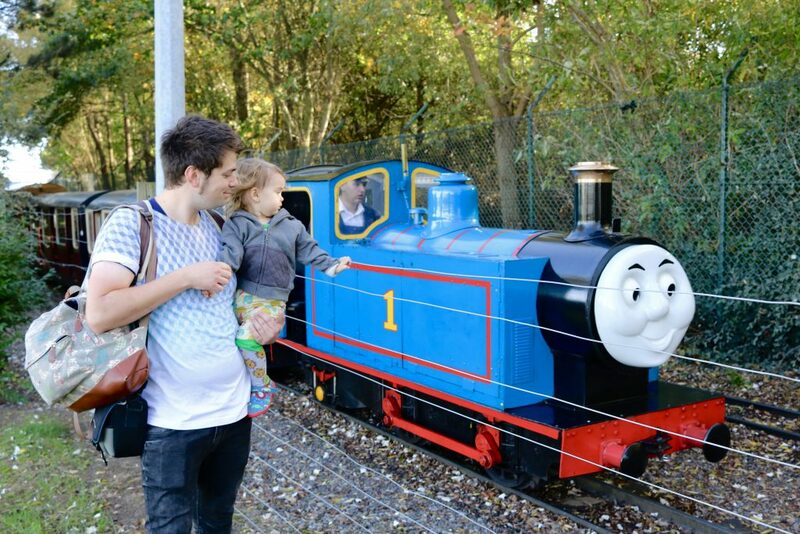 The Day Out With Thomas made it even better and Eric enjoyed it more, with it being his favourite characters. 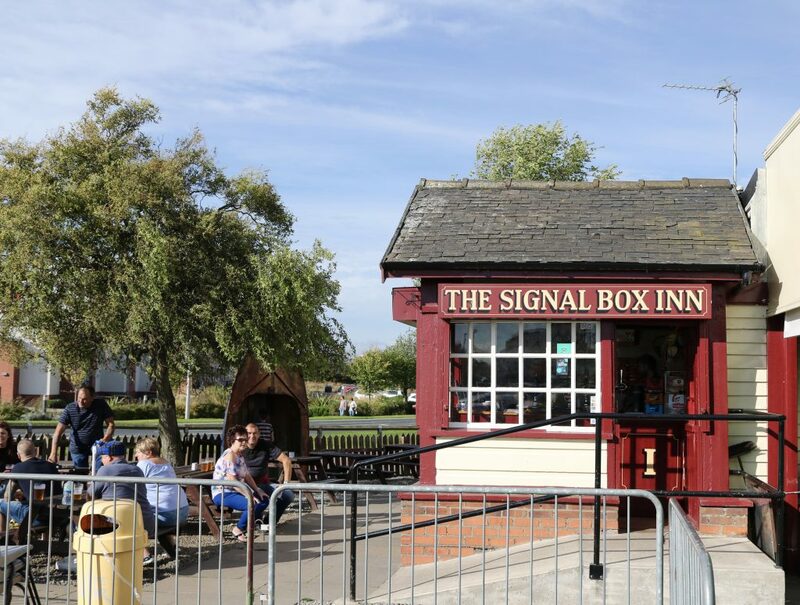 The steam trains glide across the sea front, next to a picturesque boating lake and a nature reserve; it’s so beautiful and really adds that something extra. The steam trains are amazing and everything is so “real”. The trains are really genuine, you really have to watch the video to hear the authentic sounds of the steam. Eric was fascinated with the steam and the choo choos, and after one ride we were able to get off and have photos with the train, see inside and touch some of the mechanics. Good value for money. An adult ticket was £12 which included all of the above. 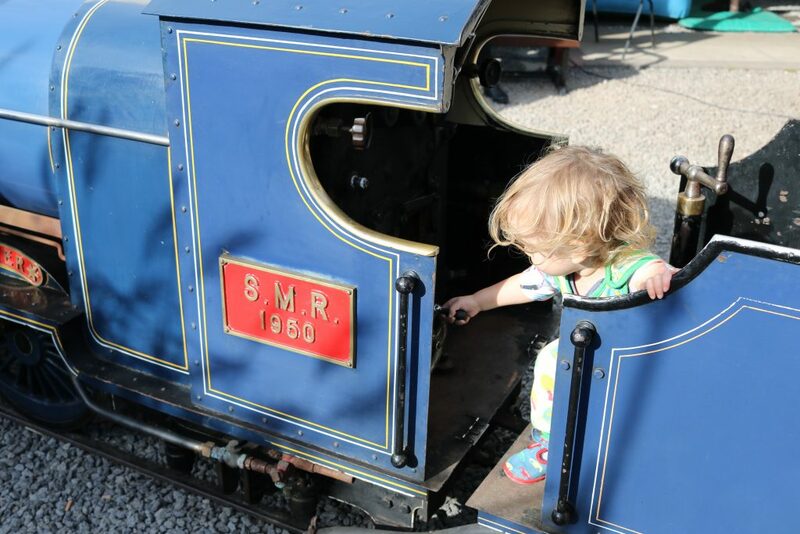 Seeing as we have previously paid £8 to go on the steam trains there (not Day Out With Thomas) I thought this was good value for money… there was lots to do and with the unlimited Thomas rides, two big rides & everything else; definitely worth £12. Enough to do for little ones. There wasn’t loads to do, and perhaps, older kids/teenagers may get bored but there was more than enough for Eric’s age. 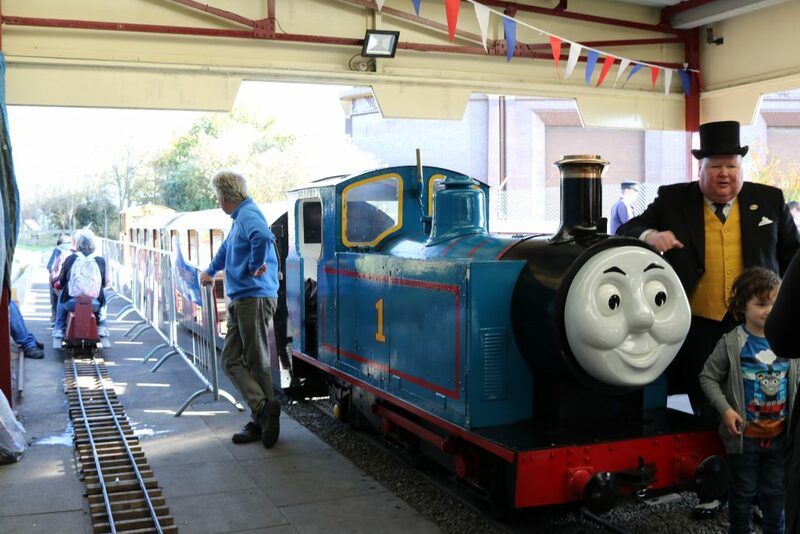 So much, in fact, that we didn’t manage both of the big rides on Thomas’ friends; only one. We planned to go back in the late afternoon to finish it off and do the other ride we had on our ticket, but after lunch and Eric had a nap, it seemed too much to go back again. All of the staff are really friendly. The staff and characters were full of excitement and seemed really happy to be there. 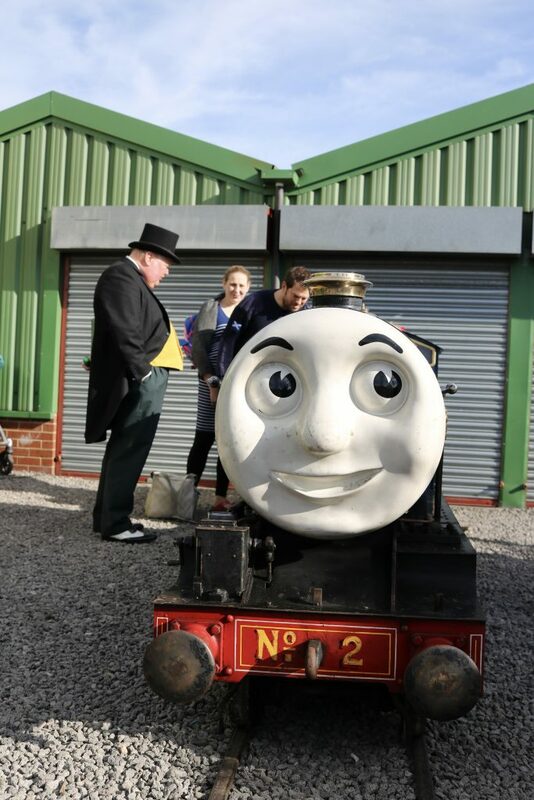 The Fat Controller was so authentic, it was strange if anything meeting him in “real life”! Arrive early and don’t miss the opening ceremony. We arrived 15 min late (doors opened at 9:45am, ceremony started at 10am) because we went to the wrong entrance. Assuming it started where we had got the light railway before, we went there only to discover the event was actually on the other side at the Lakeside entrance. Don’t make this mistake, especially if you are walking because it took us 15 minutes to walk there from the other entrance. We managed to catch the end of the opening which was really exciting, I just wish we hadn’t had missed it all. Plan what to do about lunch. 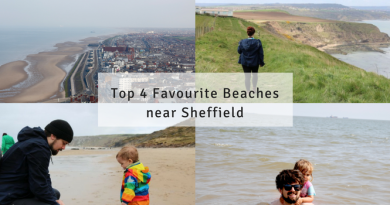 You can easily make a full day of it and there is LOADS to do in the area too… including playground, indoor play centre, beach, nature reserve walks, community centre/cafe with toy room, ducks to feed, play trail, paddling pool, arcades, restaurants and cafes. 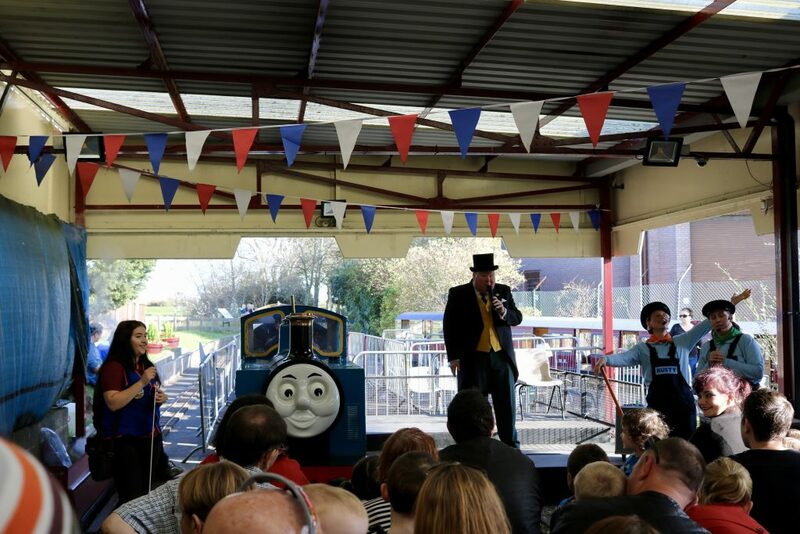 There is a cafe at day out with Thomas selling hot and cold food but queues were long & there wasn’t much seating. We ate lunch over the road at Brewers Fayre pub, loads of space and it wasn’t busy at all. There’s lots of options to eat in the area, though, and I would definitely recommend having a picnic in the warmer months. Consider how/what you’re going to fit in. It might not seem like a lot to some with only 2 train rides, Thomas, imagination station, etc., but honestly it is enough for a toddler; more than enough. Maybe try to plan what you’re going to do ahead of time; and don’t go to the imagination station if your child is hungry or tired because it’s an overwhelming experience. There’s some amazing play sets in the imagination station and lots of toddlers of all ages, so be aware of that. Toddlers can get over stimulated, angry or overwhelmed in those types of situations. Take a good camera. There’s lots of photo opportunities with all of the trains, characters, staff, etc., and it wasn’t very busy. We only had to wait maybe a few minutes to have photos at the start of the day, and he was around for the rest of the day, too. You can easily get lots of good pictures with your family, the trains, the characters without having to wait long or feel rushed, so do take full advantage of this! 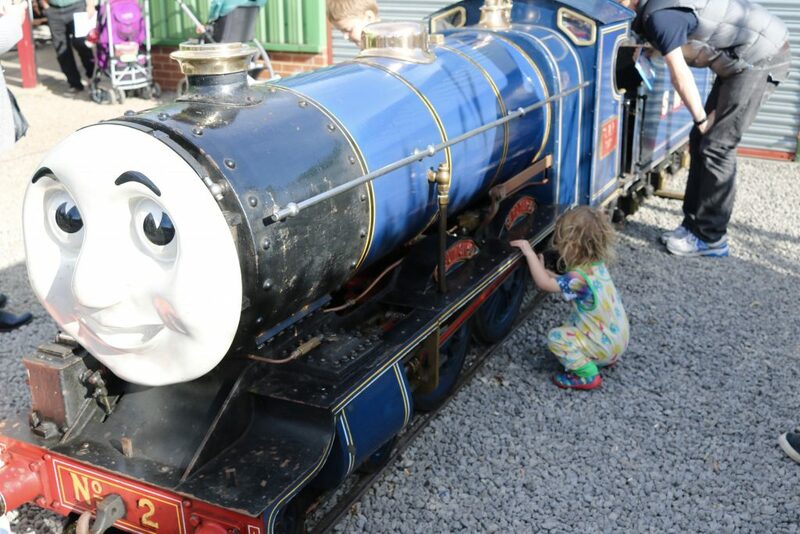 Please read my blog on our holiday at Haven Thorpe Park, where we stayed for the weekend for Day Out With Thomas. Thanks for watching/reading! 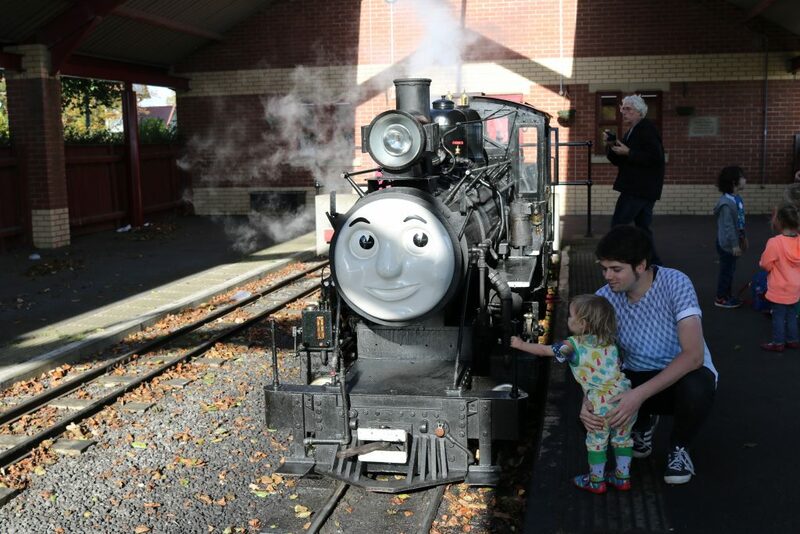 Have you already done a Day Out With Thomas, or are you thinking of going? Drop me a comment down below! 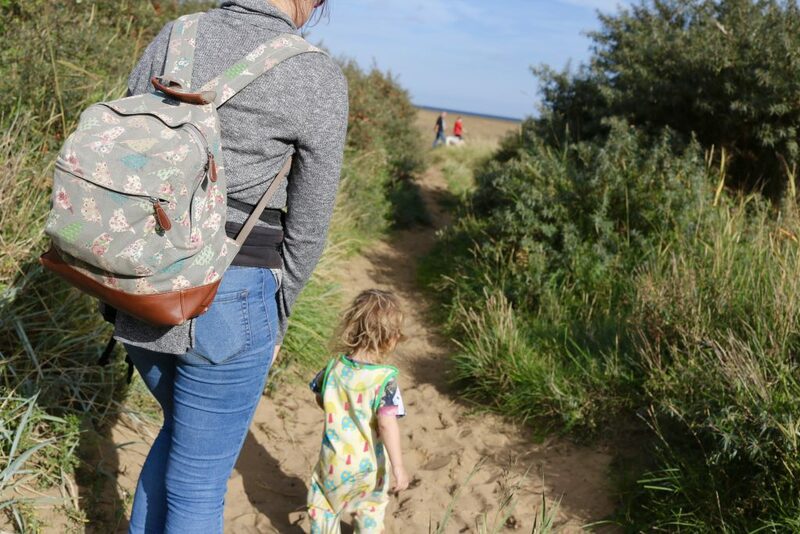 Cleethorpes: what there is to do with a toddler!